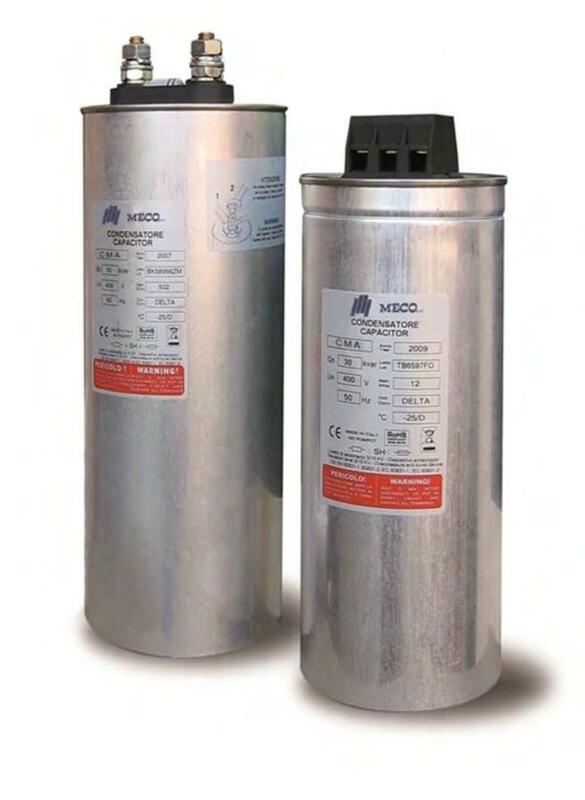 Complete range of three-phase capacitors with cylindrical-shaped casing. Particularly suitable for fixed power factor correction, whenever there are problems of dimensions. All capacitors are equipe with external discharge resistor, over-current fuses and overpressure safety device that, in the event of the element failing, disconnects it fromthe power circuit ensuring the maximum safety in every application.